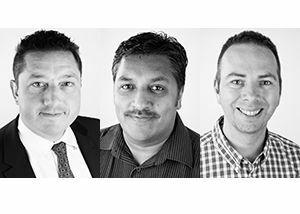 First, Bash Akhtar has joined Martin Audio as operations director. He has previously served as operations and manufacturing director of RLC Callender, Smiths Detection, and Harmonic Inc. Bash has earned a Fellowship in Manufacturing Management from Cranfield University and is a manufacturing systems engineer from the University of Hertfordshire. David Morbey has joined as the company’s first dedicated product manager. He has previously served as global product marketing manager at D&M Professional. “Bash comes to us with a wealth of operational experience and knowledge from a variety of industries and I look forward to his leadership in creating a world class manufacturing facility right here in High Wycombe. David will bring new discipline to product development and life-cycle management, alongside developing deeper insights to application opportunities that will lay the path for a better defined and even more successful product line up.”These two new hires are in addition to a number of other recent recruits: Andy Weingaertner has beefed up sales in EMEA; Robin Dibble has come in to bolster the product support engineer team; Alan Josey has been confirmed as the new finance director, strengthening the management team with over 20 years’ experience of domestic and international manufacturing and engineering businesses; Carl Davies has joined as junior mechanical design engineer, strengthening the mechanical design team to three, and Nicole Thorne has supplemented the North American team in sales admin support.